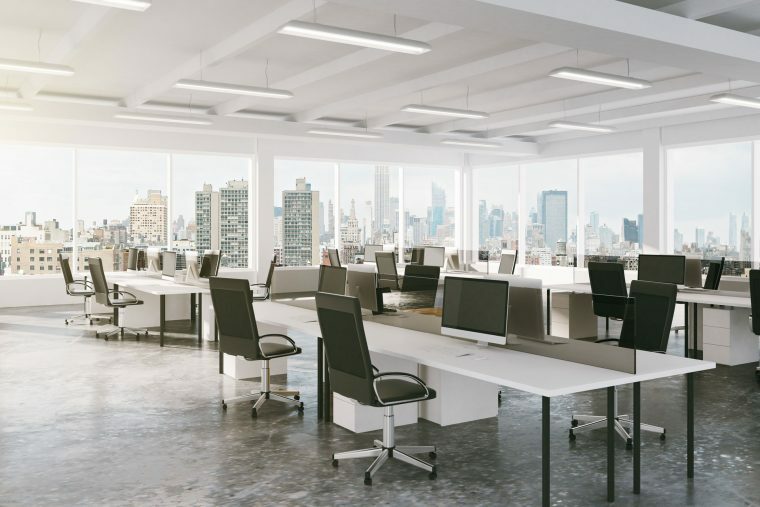 One common debate about office layout is whether you should stick to an open space design or go for cubicles as private workstations. Whichever side you choose, comfort and convenience should always be your top priorities. One study even suggests that productivity does not really depend on the type of station, but how long you’ve been sitting there. Among many office structure experiments, managing seating arrangements are by far the most effective and least expensive way to promote a more productive and collaborative work environment. Here are some of the reasons. In an article on The Wall Street Journal, Rachel Feintzeig discusses how seating arrangements affect employee productivity. In her interview with Ben Waber, CEO of Sociometric Solutions, he says that workers’ immediate neighbour account for 40% to 60% of every interaction that workers have during the workday. He adds that there is only 5% to 10% chance that employees are interacting with someone a few rows away. Studies in psychology show that when employees stay in the same workstation for a long time, they tend to stagnate and the rate of productivity decreases. Psychologists reiterate that when people become familiar with a place, they are more likely to idle. If all employees stay in the same stations for months, or even years, the organisation is not giving them room to interact with each other and collaborate on ideas and projects. Just like in classrooms, people who sit together are more likely to form exclusive groups. To foster innovation, companies should also strategise when it comes to positioning departments. Studies in workplace psychology reveal that grouping workers by department promotes focus and efficiency, but mixing them up with other departments inspires innovation and creativity. Apart from seating arrangements, some companies should also assign varied tasks to their employees. Doing the same job for months is counter-productive, psychologists claim. Experiments in seating configurations have yielded positive results across industries. Shuffling or shifting of workstations and tasks is a way to prevent stagnation and encourage acculturation in the workplace. Employees will have the chance to learn something new from different people, instead of just facing the same person every day. Shifting of roles will also push employees out of their comfort zones. At The Caretakers, we share different ways to improve workplace structure and environment. We provide organisations with solutions in creating an office space that promotes creativity, productivity and collaboration. Contact us today to get started.